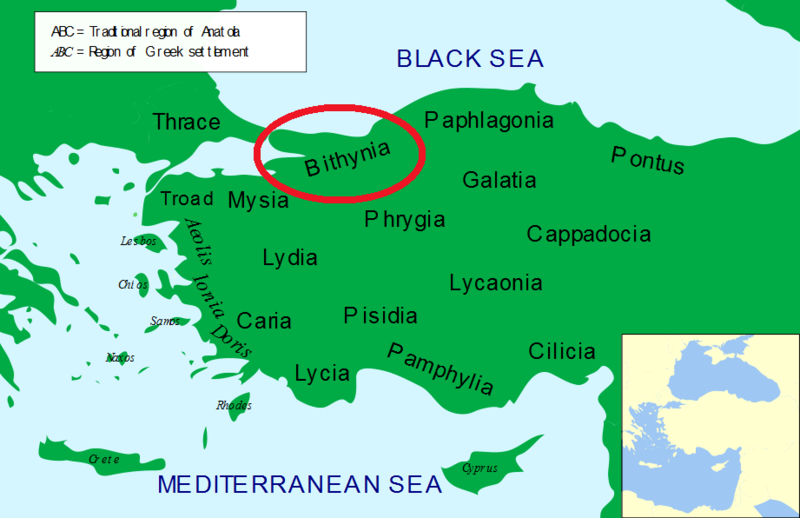 Bithynia was an ancient region, kingdom and Roman province in the northwest of Asia Minor, adjoining the Propontis, the Thracian Bosporus and the Euxine Sea. It bordered Mysia to the southwest, Paphlagonia to the northeast along the Pontic coast, and Phrygia to the southeast towards the interior of Asia Minor. (6) Constantine II 337-340 A.D.
(7) Constantius II 348-351 A.D.